2018 Holden ZB Commodore RS: Car Review. | | A Wheel Thing. In November 1948 a car was unveiled in Australia by the then Prime Minister, Ben Chifley, in front of 400 guests. Called the 48-215, marketed simply as the “Holden”, and popularly known as the “FX” the car had a 45kW 2171cc straight six and had a design from America’s Chevrolet. Thirty years later, in October 1978, Holden showed off for the first time the Opel Rekord and Opel Senator based VB Commodore. It’s now a nameplate that’s firmly entrenched in the annals of Australian automotive manufacturing history. 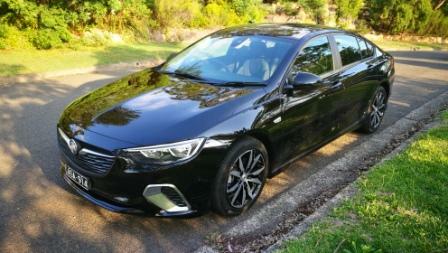 In late 2017 Holden ceased manufacturing and unveiled its Opel sourced new Commodore. With a nod to history, its designation is ZB. 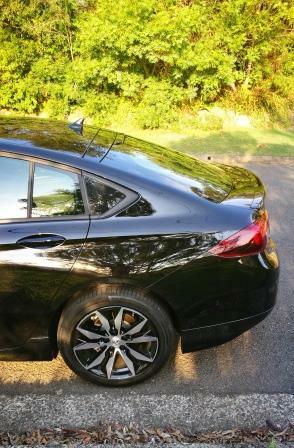 It’s fair to say that it’s a car that has divided followers of the Holden brand, primarily due to a change in platform. It’s no longer available in rear wheel drive, now being front and all wheel drive. There’s no ute, nor is there a V8. There’s a turbocharged four cylinder petrol and diesel engine, turbocharged V6 engine, nine speed automatic transmissions, a slightly smaller body, and it’s a hatchback. Yes, a wagon, known now as the Tourer, stays. And our familiar designations have largely disappeared. It’s also highly likely that the ZB will be, in effect, a stand alone model in the history of Commodore, as Opel was bought by Groupe PSA in 2017 and with a mooted change to the platforms used by that organisation. A Wheel Thing, with a decades long personal association with Holden going back to the early 1970s and a HT Kingswood, became possibly the first fully independent car reviewer to drive the ZB Commodore, in second level RS sedan/liftback trim. Priced at $37,290 RRP it’s available at a driveaway price on promotion at just $38,990 for the liftback. The V6 AWD platform and front suspension are also available as an option at $42,490 driveaway. It’s fitted with the turbo four cylinder petrol, with 191kW of peak power and 350Nm of peak torque between 3000 and 4000 rpm. 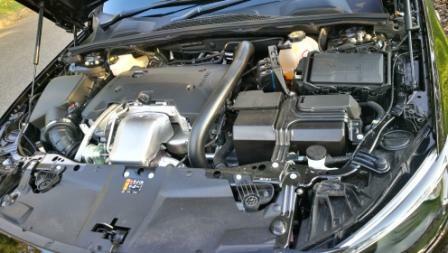 The nine speed auto is the first time such a transmission has been seen for Commodore and it’s a pearler. Combined with a instantly responsive throttle, it switches between gears as cleanly and as smoothly as one could wish for. In fact it’s so smooth as to be forgotten that it’s there. Holden’s engineering team have spent a great deal of time calibrating the two and it shows. There’s no indecision, no dithering, it’s always in the right gear for the rev range. The engine fires into life at the push of a button, and is also able to be remotely started via the key fob. It’s smooth, quiet from both inside and outside the cabin, and sips 95RON unleaded at a quoted figure of 7.9L/100 km for the combined figure. AWT matched that quoted figure. Although it’s now a front wheel drive vehicle, the car tested was only barely perceptible in most driving conditions to be feel as such. Seat of the pants 0-100 km/h times, without testing, feel sub eight seconds. And although peak torque starts at 3000rpm, there’s more than enough on tap below that to take advantage of the extra gear range. The ZB body shape is one familiar, in a way, to Aussie buyers thanks to other brands having similar profiles, but it’s not once seen in a Commodore until now. 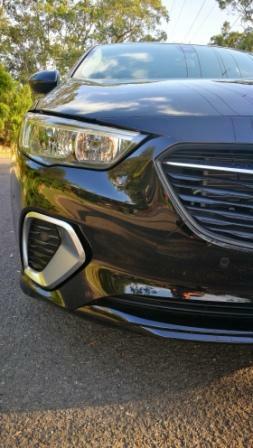 The RS in sedan form has a slightly more sporting look than the entry level LT. There’s a reprofiled front bumper, a grille that’s possibly overdone for Aussie tastes, 18 inch alloys (wrapped in grippy Continental rubber) instead of 17s, and of course, that liftback in a very coupe’ style. Coated in Mineral Black, with red metallic flecks that pick up the sun at certain angles, it highlights a slippery shape. Compared to the superceded VF11, the ZB is measurably smaller. Compared to the VF it’s 74mm shorter at a still long 4899mm. The height is 1455mm, width is 1863mm (excluding mirrors) as opposed to 1899mm. The wheelbase is 86mm shorter at 2829mm however knee room stays the same and headroom is only 13mm less. 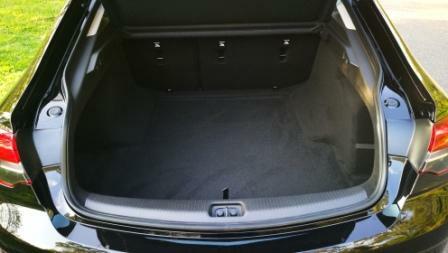 Cargo room is also only slightly less, five litres down at 490L in total with the seats up. 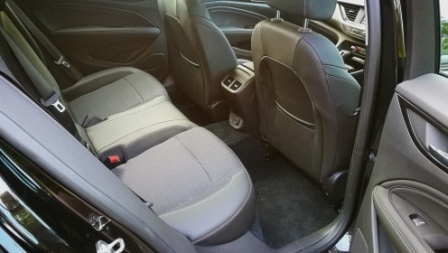 However the 60/40 folding seats do offer up extra space over the VF11 when flat. It’s identifiably corporate GM inside yet familiar at the same time. Climate control has the same light aqua hued LEDs inside dials that are inset in their own nook under the audio controls, the driver’s info screen is instantly recognisable in its monochrome presentation with ino accessed via dial and button on the indicator stalk. 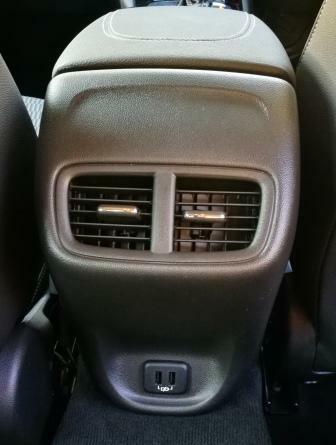 There’s a single USB port in there and a pair at the end of the centre console for rear seat passengers. 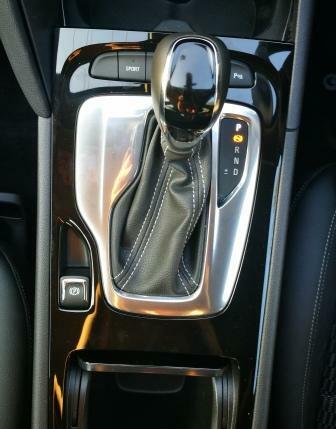 The gear selector is framed in chrome which catchs the sun and reflects directly into the driver’s eyes. Audio wise there’s Bluetooth streaming but you’ll need to go up to the VXR, RS-V, and Calais to get a DAB tuner and satnav. Android Auto and Apple CarPlay are standard though. Features such as wireless smartphone charging for compatible smartphones and Head Up Display are found further up the chain. The touchscreen is a seven inch unit, down an inch available in the previously mentioned spec levels. But although the driver’s seat is electrically powered, the passenger seat gets only fore and aft, and seat back tilt, adjustment. Nope, no height adjustment, and as the seats are low anyway, passengers have already commented about how they’re not able to see clearly forward. 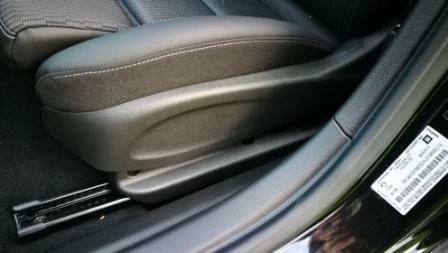 Actual interior trim is pretty good, as is fit and finish, however the glovebox’s clasp on the left hand side doesn’t close as cleanly, requiring an extra push to seat it firmly. There’s no noticeable switch inside to release the hatch, with anyone wishing to open it needing the fob to press on the Holden logo at the rear. 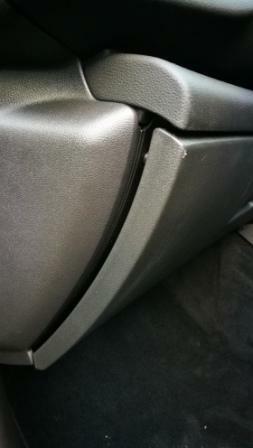 The Tourer (wagon) models have a foot operated opening process with a sensor embedded underneath with an added extra. 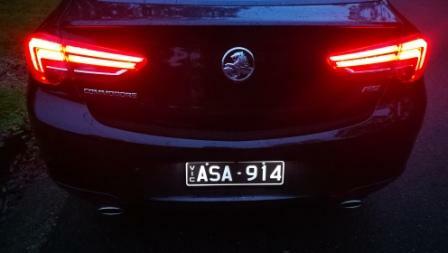 A light shines the Holden logo downwards so there’s no mistaking where the foot should be waved. 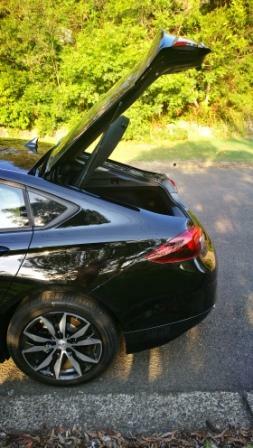 Where the 100,000 plus kilometres of testing have really paid off is in the ride quality. Knowing the ZB would be greeted with varying degrees of (lack of) enthusiam, it’s a hugely important part of the equation. Simply put, the ride is as good as you can get in competence, comfort, sporting, absorbption, feedback, dynamics. It’s a lighter steering feel, understandably, compared to the VF2 with the 3.6L V6 weighing more than new turbo four, but its so well calibrated that it’s almost instinctive. Throttle induced torque steer is virtually eradicated and it really needs a heavy foot from standstill to feel anything like it. Slow speed twirling has the nose follow as if laser tracked, freeway speeds (with 100 km/h turning the engine over at just 1250 or so) requires less steering input to move around. Damping from the McPherson strut/four link suspension is superb, especially over the more unsettled tarmac sections of Sydney’s road system. Float is non-existent nor will the ZB follow ruts or feel as if it’ll snap back. It’s possibly, in ZB four cylinder trim, as good a chassis for a off-shore developed but locally fettled car as we can get. 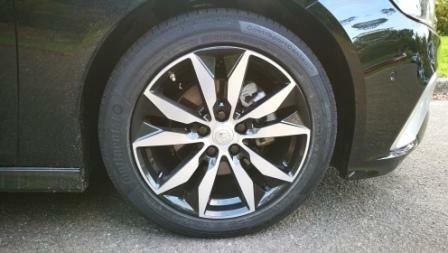 Brakes react to the merest touch and are responsive through the travel to the pressure applied; light pressure, light braking, move further down and they bite harder. Fade is non-existent. In a technical sense there’s plenty to like. Stop/Start is standard, and unlike the recently tested Equinox, can be deactivated. Forward Collision Alert, Lane Keep Assist, Low Speed Autonomous Emergency Braking is standard, as are Rear Cross Traffic Alert and Front/Rear Parking Assist. Add in items like Pedestrian Alert, Side Blind Zone Alert, and Following Distance Indicator and it’s clear that the ZB Commodore is taking the name to a higher level. 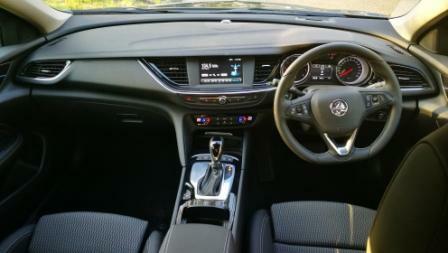 3 Comments on "2018 Holden ZB Commodore RS: Car Review." Permanent all wheel drive with torque vectoring, and direct injection engines.